Lazanou Organic Vineyards is an award winning boutique wine producer situated in the beautiful Wellington valley near Cape Town. 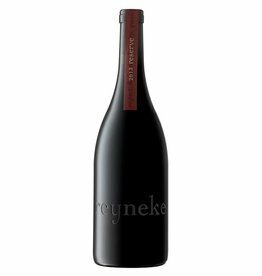 Careful whole berry selection and fermentation, produces ripe, smoky plum and black pepper flavours with a beatifully silky mouthfeel. Oaking in French oak is deftly integrated into the wine, which is rich, structured and elegant, deserving an invitation to dinner! Vinification Cold maceration for 24 hours. Fermentation on the skins. Regular pump overs. Pressed and racked prior to maturation. This delicious, medium bodied food wine, combines vibrant, racy acidity with concentrated stewed quince, honey and lime flavours. Left on the lees for seven months imparts creamy, spicy undertones, finishing with a lingering farewell. A good food partner.